Eldon L. McAfee | Attorneys | Brick Gentry, P.C. Eldon McAfee was raised on a farm near Atlantic, Iowa, and continues to operate the family farm with his family in a crop-share lease. Eldon graduated from Iowa State University in Farm Operations. He farmed for ten years, dairying first near Solon, then by North English, Iowa. Utilizing his farm experience, he went to Drake University Law School in the agricultural law program. Since graduation in 1991 Eldon’s law practice has focused on agricultural law and he is now recognized as one of Iowa's preeminent attorneys, authors and presenters in agricultural law. Full time Farmer, 1978 to 1988. 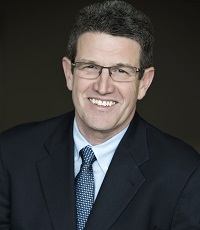 Attorney with Beving, Swanson & Forrest, P.C., Des Moines, Iowa, 1991 to 2015. Ag Influencer, Iowa Farmer Today, Jan. 28, 2016, “Eldon McAfee Reflects on Dairy Farming Days”, Click here for the article. Drake Law’s 150 in 150, “In recognition of our 150th anniversary, Drake Law celebrates individuals who have best demonstrated the values of the Law School and helped shape Drake Law into who we are today.”, 2015, Click here for the webpage. Masters of the Pork Industry, National Hog Farmer, May 14, 2014, “Eldon McAfee Honors His Roots and Keeps Agriculture in the Forefront”, Click here for the article. "Developments in Livestock Nuisance Lawsuits and Regulatory Issues”, Iowa Corn Growers Association and Iowa Corn Promotion Board, Joint Board Meeting, Des Moines, March 26, 2019. “Iowa Environmental Regulations” Iowa Agriculture Water Alliance, Advisory Council, Des Moines, March 7, 2019. "Iowa Environmental Regulations & Nuisance Case Update” Iowa Pork Producers Association Iowa Pork Congress, Des Moines, January 23: Topics covered include recent ag nuisance jury verdicts in Iowa, as well as other states, an DNR workplan inspections, and current issues in DNR regulations. Click here for the webcast. “Agricultural Law Update” with Erin Herbold-Swalwell, Drake General Practice Review, December 7, Topics covered: Iowa Ag Case Law and Legislative Update, Wind Energy Agreements, the Iowa Supreme Court’s decision in Honomichl v. Valley View Swine, LLC, Recent Ag Nuisance Jury Verdicts and Upcoming Iowa Ag Nuisance Trials, Agreements for Construction of Livestock Operations, Iowa Statutory Ag Liens, and the Polk County District Court’s recent dismissal of the Watson v. Iowa DNR case. “Contractual Issues Arising Out of Livestock Production”, Iowa State Bar Association, Webinar, Nov. 6. Topics covered were Agreements for Construction of Livestock Operations, Including Manure Easement/Agreement Terms and Litigation, Iowa Statutory Ag Liens, Livestock Feeding Contracts and Federal Packers and Stockyards Administration –Livestock and Poultry Production and Marketing Contracts and Livestock Contract Feeding – Insurance. “Practitioner’s Environmental Law Review, Focusing on Defense Strategies”, with James Bradbury, American Ag Law Association 2018 Annual Conference, Portland, Oregon, Oct. 27. Topics covered were Clean Water Act Discharge Litigation, Clean Water Act Administrative Enforcement, USDA Wetlands Conservation Compliance Appeals and Ag Nuisance. An Update on Honomichl and Ag Nuisance Law”, with Julie Vyskocil, 2018 Agricultural Law Seminar, Center for Ag Law and Taxation, Iowa State University, Sep. 20. Topics covered were the Iowa Supreme Court decision on the constitutionality of the section 657.11 animal feeding operations nuisance defense, Honomichl v. Valley View Swine, the 2017 animal feeding operations nuisance defense in section 657.11A, and recent ag nuisance jury verdicts and upcoming Iowa ag nuisance trials. "Animal Agriculture Law Update" with Julie Vyskocil, Iowa State Bar Association Annual Meeting, Des Moines, June 18. Topics covered were the Nuisance Defense – Iowa Code §657.11A and Agreements for Construction of Livestock Operations. "Agricultural Liens and Contract Issues" Iowa State Bar Association Commercial & Bankruptcy Law Section, Des Moines, April 20. Topics covered were Iowa Statutory Ag Liens, Agreements for Construction of Livestock Operations, and Livestock Contract Feeding - Insurance. "Environmental Regulations: What's New," 2018 Iowa Pork Regional Conferences February 19-22, covering relevant current legislation in the statehouse, the EPA's notice to livestock farms for reporting air emissions, and practical aspects of compliance with Iowa DNR regulations. "Iowa Regulations & Nuisance Case Update” Iowa Pork Producers Association Iowa Pork Congress, Des Moines, January 24: Practical aspects of compliance with Iowa DNR regulations, other environmental compliance and protection, current Iowa environmental regulations, recent federal EPA CERCLA reporting guidance for livestock farms, and an update on current Iowa nuisance cases. Click here for the webcast. "Agricultural Nuisance Law," Iowa State University AGEDS 451, Agricultural Law, Guest Lecture, January 22. “What Do Those Ag Nuisance Jury Verdicts from Other States Mean for Iowa Producers?”, Iowa Pork Producer magazine, Iowa Pork Producers Association, Sep., Click here for the article. “Lawsuit for Regulation of Air Emissions Voluntarily Dismissed”, Iowa Pork Producer magazine, Iowa Pork Producers Association, Sep., Click here for the article. "Iowa Supreme Court Rules that Courts Must Consider the Constitutionality of the Animal Feeding Operations Nuisance Defense for Each Plaintiff," Iowa Pork Producers Association, July 5. “Master Matrix to be used in 89 Iowa counties”, Iowa Pork Producers Association, Feb. 13. "Extended deadline for first step in court-ordered EPA air emissions reporting is Jan. 22", Iowa Pork Producers Association, Jan. 16. "Federal Appeals Court rules the employment misrepresentation portion of Idaho's interference with ag production law is constitutional", Iowa Pork Producers Association, Jan. 16. "Iowa Attorney General files motion to dismiss lawsuit challenging Iowa's ag-fraud law", Iowa Pork Producers Association, Jan. 3. “Ag Nuisance Update”, Iowa Soybean Association Policy Network News, Sep. 21. “Iowa farmers worry over huge NC verdict against hog farm”, Business Record, Aug. 7. Click here for the article. “Pork industry mulls aftermath of N.C. nuisance verdict”, Agri-Pulse.com, May 9. Click here for the article. “What the $50 Million Swine Nuisance Verdict Could Mean for Midwestern Producers”, Successful Farming.com, April 30. Click here for the article. “Specific Manure Agreements Protect Both Parties”, Iowa Farmer Today, April 6. Click here for the article. “Does Air Coming From Hog Confinements Contain Manure?”, Des Moines Register, Jan. 24. Click here for the article. “Agricultural Law Update” Drake General Practice Review, December 8, Topics covered: USDA Wetlands Conservation Compliance Appeals; Fence Law & Trespassing and Stray Livestock; Farm Leases; Livestock Contract Feeding – Insurance; Nuisance Law; Manure Easements/Application Agreements; Statutory Agricultural Liens; The Des Moines Waterworks case and other current cases and issues in Ag Law. “Drainage And Wetlands Issues”, with Erin Herbold-Swalwell, Center for Ag Law and Taxation, Iowa State University, Sep. 21. Topics covered were USDA Wetlands Conservation Compliance Appeals and Tiling and Drainage legal issues. “Pork Production – Legal Issues”, National Pork Board, August 31, 2017. Topics covered were an update on livestock nuisance cases and state nuisance defense laws. “Developments in Livestock Nuisance Lawsuits”, Iowa Corn Growers Association, August 11. Topics covered were an update on livestock nuisance cases and state nuisance defense laws. “Protections for Producers in a Growing Industry – (Focus on Iowa Nuisance Protections)”, National Pork Producers Council, June 21. Topics covered were an update on livestock nuisance cases and state nuisance defense laws. “Ag Law and Regulations: Practical Perspectives for Producers”, Ag Marketing & Management Seminar, Bank Iowa of Clarinda and Clarinda Co-op, March 14. Topics covered were the Des Moines Waterworks lawsuit, ag nuisance cases, DNR livestock regulations, livestock contract feeding insurance, farm leases, and drainage law. "Drainage Districts" for the Iowa State Bar Association's 2017 Environmental Law Seminar, February 17. "Iowa Regulations & Nuisance Case Update" Iowa Pork Producers Association Iowa Pork Congress, January 25. Click here for the webcast. “Annual master matrix enrollment period for counties begins Jan. 1”, Iowa Pork Producers Association, Dec. 19. “First step in court-ordered EPA air emissions reporting required by Nov. 15 unless court grants extension”, Iowa Pork Producers Association, Nov. 9. “Strong Contracts Protect Feeders and Owners”, Iowa Cattleman, Aug., Click here for the article. “DMWW Declines Appeal After Federal Judge Dismisses Lawsuit”, Iowa Pork Producer, May, p. 28. Click here for the article. “Dismissed Des Moines Water Works Lawsuit Explained”, National Hog Farmer, April 17. Click here for the article. “Iowa Supreme Court Rules Against Des Moines Water Works”, Iowa Pork Producers Association, Jan. 31. “Iowa Appeals Court denies coverage for contract feeder who purchased custom feeding insurance policy endorsement”, Iowa Pork Producers Association, Jan. 17. “Responsible Farm Protection Bill Becomes Law”, Iowa Pork Producer, May, p. 26. Click here for the article. “Des Moines Water Works Case Dismissed”, Iowa Cattleman, April, Click here for the article. “Responsible Farm Protection Bill Becomes Law in Iowa”, National Hog Farmer, April 3. Click here for the article. “Iowa Court Ruling Confirms Drainage District Immunity”, Iowa Farmer Today, Jan. 30. Click here for the article. "Agricultural Law Update", Drake University Law School General Practice Review Seminar, Des Moines, December 9. Topics covered: Farm Tenancies, Ag Nuisance, Manure Easements/Application Agreements, Current Issues and Enforcement of Statutory Ag Liens, and Iowa Ag Law Update. "Proving Liability for Toxic Feed and Water", American Agricultural Law Association 2016 Agricultural Law Symposium, Oklahoma City, Oklahoma. Oct. 8. “Livestock Update: Ag Nuisance Suits and Manure Easements; Current Issues in Enforcing Agricultural Liens and Farm Leases” Center for Ag Law and Taxation, Iowa State University, Sep. 8. “Legal Climate in Iowa” BeefMeet seminars, Iowa Cattlemen's Association, Independence, Spencer, Atlantic, and Riverside, June 22-29. “Ag Law and Regulations: A Practical Perspective for Producers”, Hills Bank & Trust 2016 Ag Outlook Conference, Riverside, Mar. 3. “Ag Legal Issues”, Iowa State University Ag Marketing & Management Organization 2016 Ag Outlook Conference, Feb. 20. “Nuisance Law and Des Moines Waterworks Lawsuit”, Iowa State University AGEDS 451, Agricultural Law, Guest Lecture, Jan. 25. “Summary – Final DNR Rule on Animal Feeding Operations”, Iowa Pork Producers Association, Oct. 25. “Farm Drainage: Point or Nonpoint Source of Contention”, National Hog Farmer, May 23, Click here for the article. “Summary – Proposed DNR Rule on Animal Feeding Operations”, Iowa Pork Producers Association, May 10. “Jury finds Wapello Co. hog farm is not a nuisance”, Iowa Pork Producers Association, March 1. “Changes to Chapter 200A affect Open Feedlots”, Iowa Cattleman, Aug., Click here for the article. “After Quiet Stretch, Busy Year for Nuisance Lawsuits in Iowa”, Iowa Farmer Today, March 17. Click here for the article. “Court Cases Can Be a Nuisance for Producers”, National Hog Farmer, March 1. Click here for the article. “Management Key for Livestock Farms as Nuisance Suits Rise”, Iowa Farm Bureau Spokesman, Feb. 3. Click here for the article.